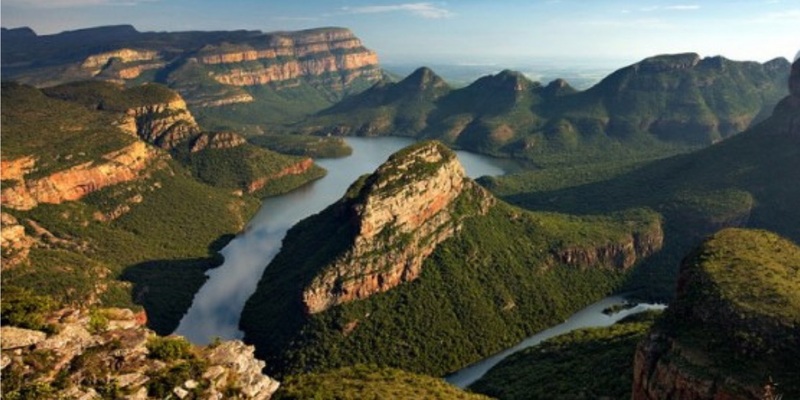 Visit South Africa’s second most popular natural landmark, after Table Mountain. 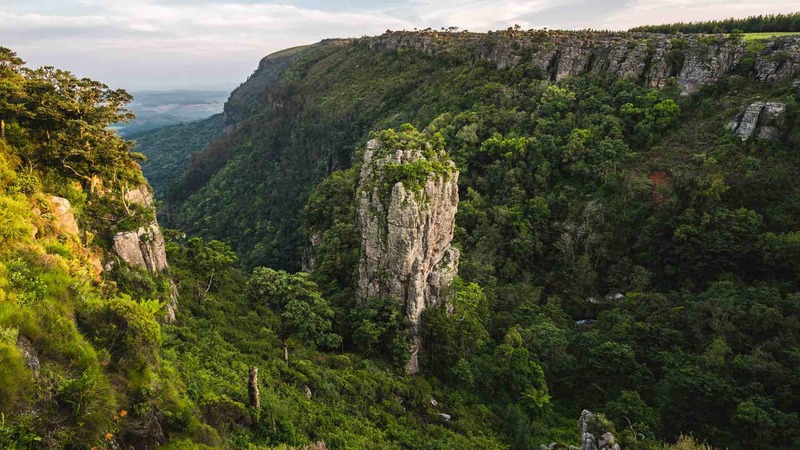 At twenty-five kilometres long and 750 metres deep, the Blyde River Canyon is the third largest canyon in the world as well as the greenest canyon on earth, with its brilliant emerald green foliage. It encompasses a number of popular sights including “the Pinnacle”, the “Three Rondavels”, God’s Window and stunning views of the Klein Drakensberg mountain range. There is more to this natural wonder than just lush vegetation, cascading waterfalls and plunging cliffs. 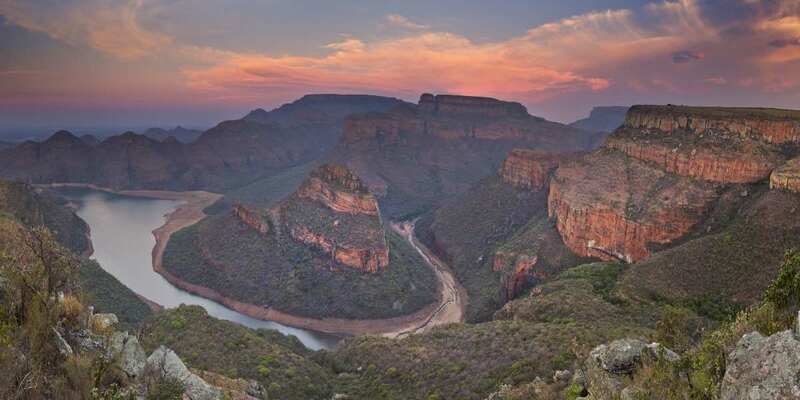 The Blyde River Canyon Nature Reserve provides a wealth of fauna and flora to encounter. Hot air balloon and microlight flights offer a bird’s eye view of the scenery. Boat trips on Swadini Dam can get you up close and personal with the Kadishi Tufa waterfall. For those wanting to keep their feet firmly on the ground, kloofing, horseback trails and quad biking provide just three unique ways to explore the plunging expanses of the canyon.